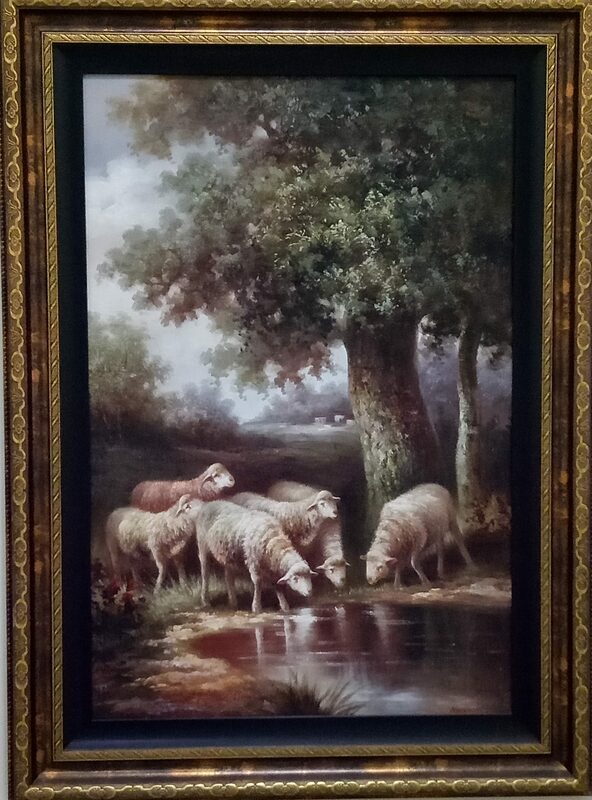 The Lambs , Artist: Manson (a Chinese artist), oil on canvas. 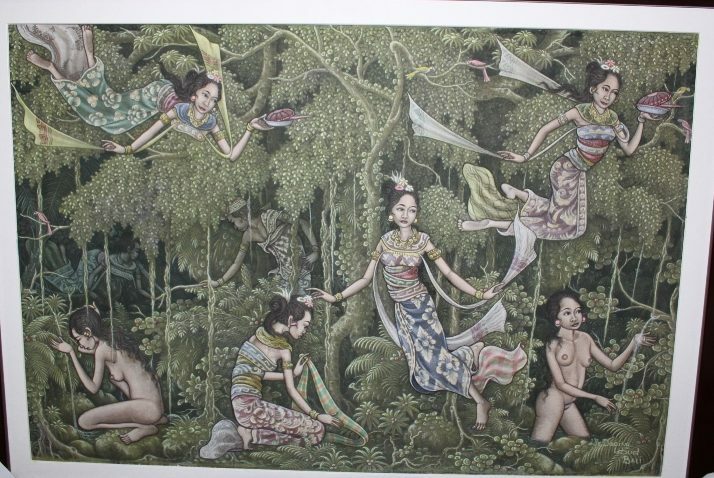 Jaka Tarub with 7 Seven Princesses, Artist : I Made Mangku Daging, acrylic on canvas. 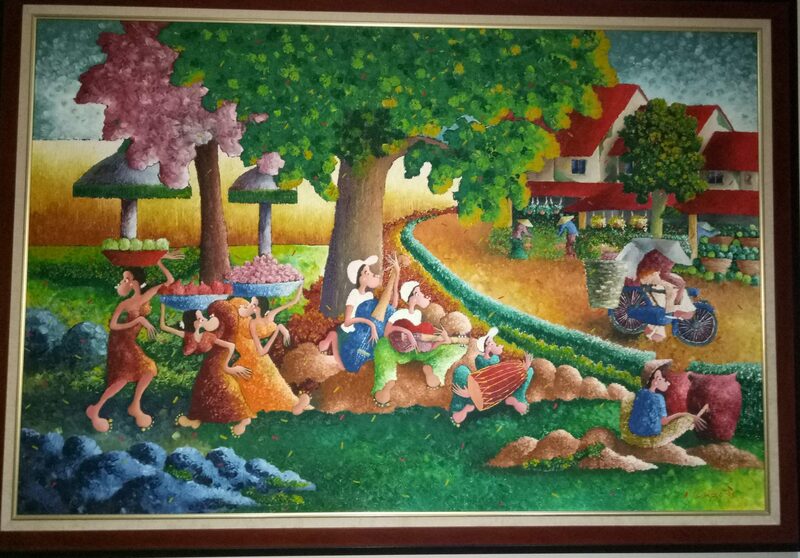 Artist : I Made Mangku Daging, acrylic on canvas. 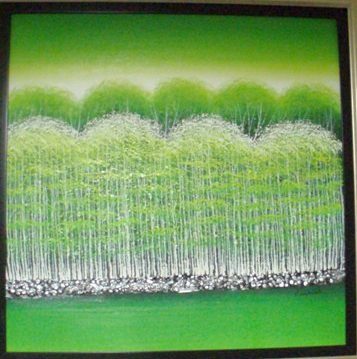 The Smoothness, Artist: a Chinese monk (2008), water color. 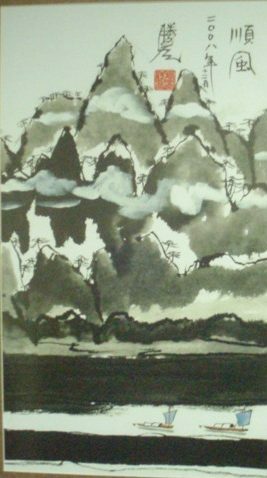 Artist: a Chinese monk (2008), water color. 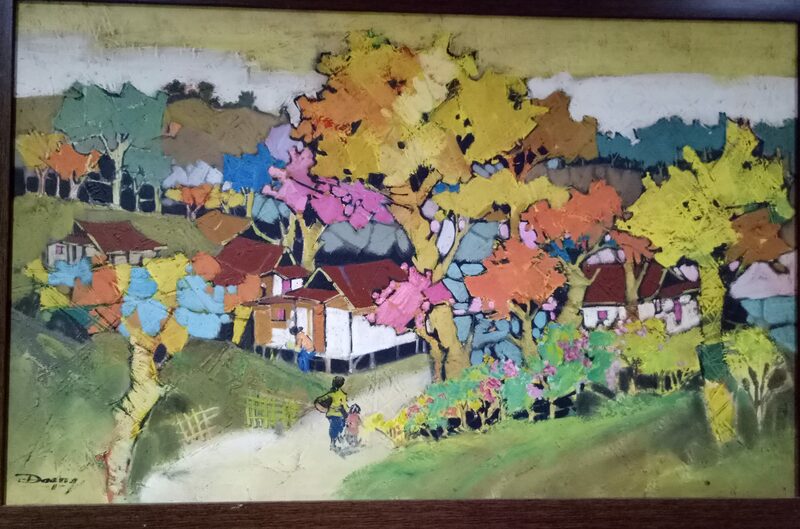 The Spring Time, Artist: Vincent, oil on canvas. 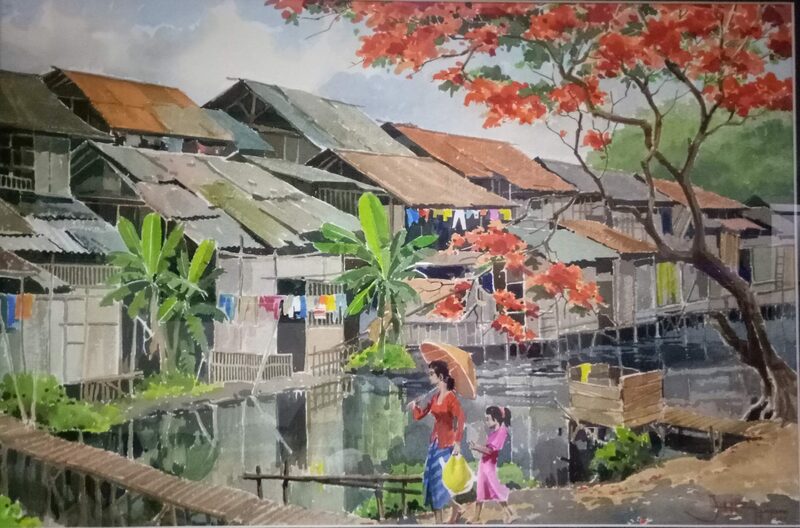 Artist: Vincent, oil on canvas. 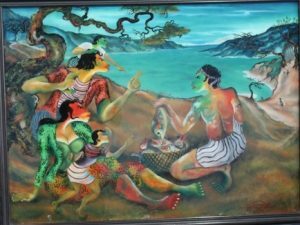 Mancing di sungai, Artist : I Made Mangku Daging, acrylic on canvas. 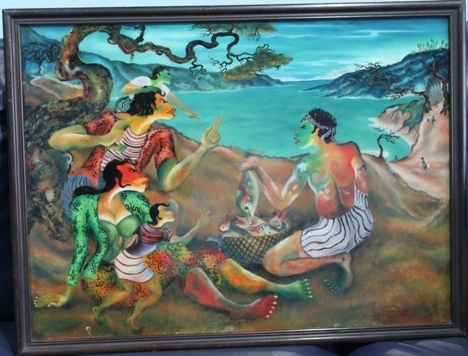 Menawarkan / menjual hasil tangkapan, Artist: Hendra Gunawan, glass painting. 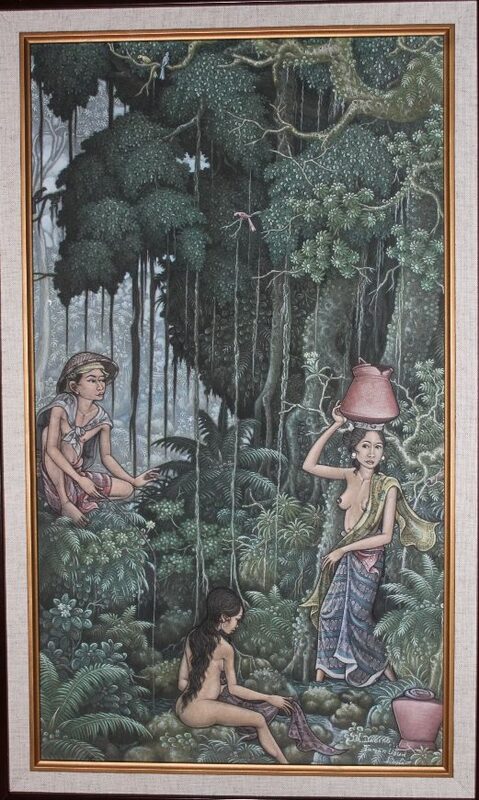 Artist: Hendra Gunawan, glass painting.